With all the stress life sometimes burdens us with, a moment to step back just a while and reboot can make things a whole lot better. My call to action? A short solo trip to Mallorca. When thinking of locations to escape to this extremely popular Balearic island had never struck my mind as a place to visit straight away, but was somehow highly recommended by a number of my peers—cheap flights, bikini good weather, breathtaking sceneries and exquisite food, couldn’t see myself not giving in to a short trip over to the island. What I thought would be a couple days of mega touristic filled activities later turned out to be my laziest getaway, mainly consisting of lounging around by the pool and eating my weight in food. Honestly can’t remember the last time I’ve actually relaxed on a holiday like I had for this one as I usually tend to cram in a million and one things to ensure I’ve made great use of my time away. As a true city gal, the initial plan was to base myself in Mallorca’s capital; Palma, but quickly came to the realisation that immersing myself in a slower paced environment for just a few days was what I really wanted and longed for. 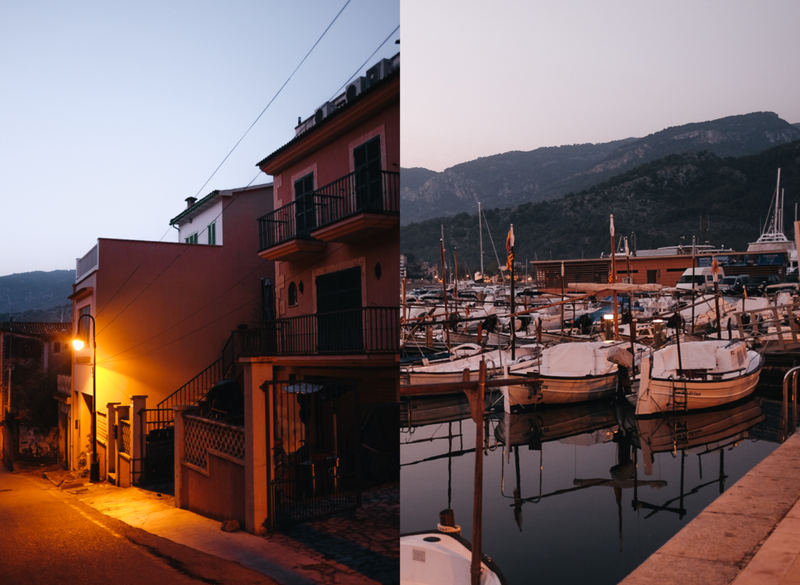 After much extensive research on where I could stay out of the hustle and bustle life of the city life, I settled with Sóller’s outlet to the sea, Port de Sóller, a small coastal village located on the northwest coast of Mallorca. Port de Sóller being the second half of the Sóller, ment that is was pretty easy to travel between the two locations thanks to the infamous tram best know as the ‘Orange Express’. I always made sure to spend sometime by the docks of the Port to take in the sunset and let my thoughts run wild every evening. I quite liked the contrast between the almost still-life picturesque scene in front of me and the noise of holiday goers chatting away and digging into their dinner in the outdoor restaurants behind me. 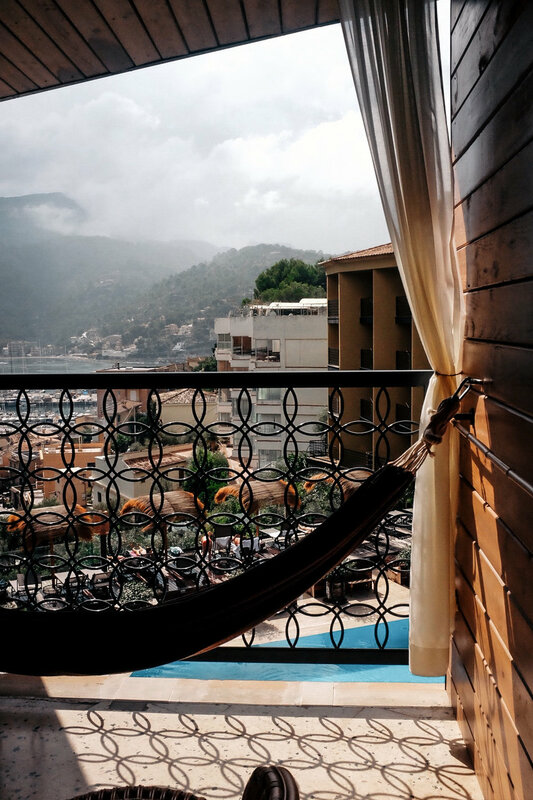 Bikini Island & Mountain Hotel should be one of the reasons why one should take residence in Port de Sóller. I had the pleasure of basing myself in this fairly new Design Hotel for the duration of my trip, and honestly couldn’t have imagined myself staying anywhere else. Prepare yourself for its unique Bohemian and Mediterranean style decor, killer food at all hours of the day and its many facilities. From the outdoor pool stamped with its infamous floral peace sign, to the sauna, afternoon Pikkini Bar, Donkey Bar, Santaverde Spa, and every room boasting a good view, no doubt will you find it hard to leave the premise. You can find my detailed review of Bikini here. 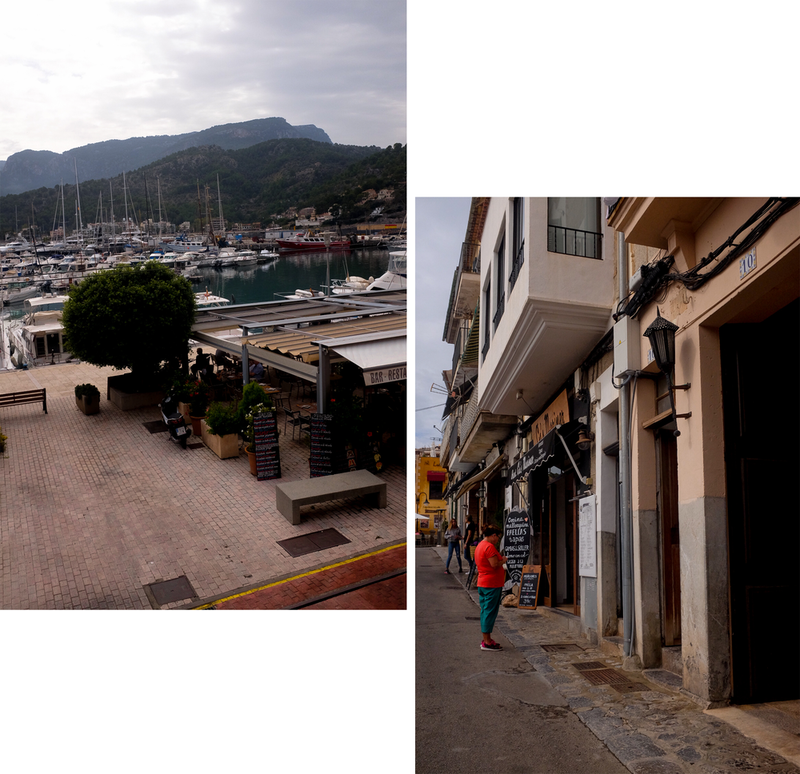 Just a stretch away from Port De Sóller by bus, I made sure to visit one of the prettiest small coastal villages on the island, Deià. Still located on the northwest coast of Mallorca, the charming village is sheltered underneath the Teix mountain range with many orche-coloured stone houses dotted between its nooks and crannies, and boasts the most exquisite views. Wandering around it’s streets you could can really get a sense of the heavy artistry influence in the village. You’ll find many tiny boutiques selling different types of art. Deià is also home to a few museums including Robert Graves House Museum, Son Marroig Museum on the Archduke Salvador’s estate, the Parish Museum, and the Archaeological Museum. If you’re looking for a beach, walk down to Cala Deià. It’s a small beach set in a cool cove surrounded by cliffs and rocky hills. You can also find two beach cafes that offer great choices of fish, meat, paella and tapas. You’ll definitely work up a sweat and take a few breathing breaks when making your way back to the centre of the town might I just warn! 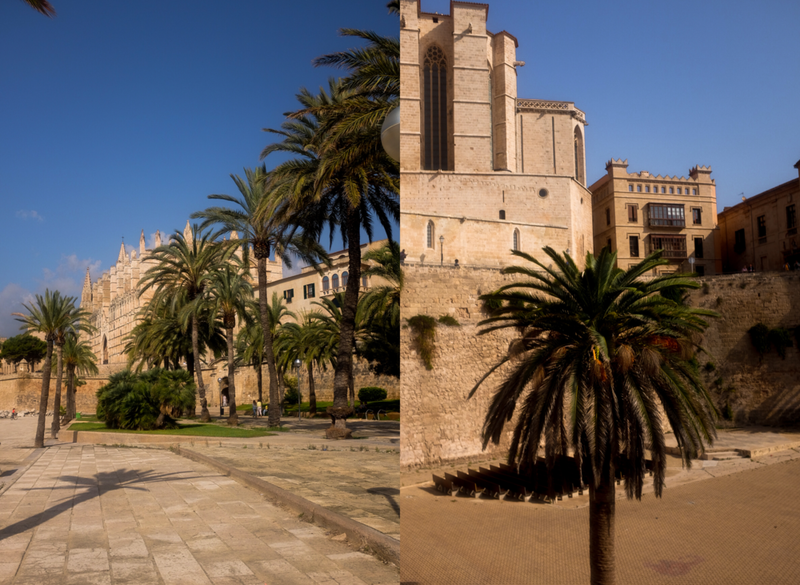 La Seu Cathedral – A stunning Gothic Roman Catholic cathedral that overlooks the Bay of Palma. Museu Fundación Juan March - A museum which showcases the permanent collection of seventy works by the most important Spanish vanguard artists of the twentieth century. Mercat de l’Olivar – Located in the heart of Palma de Mallora, this place is known as Palma’s biggestproduce market. Perfect for all the foodies out there. 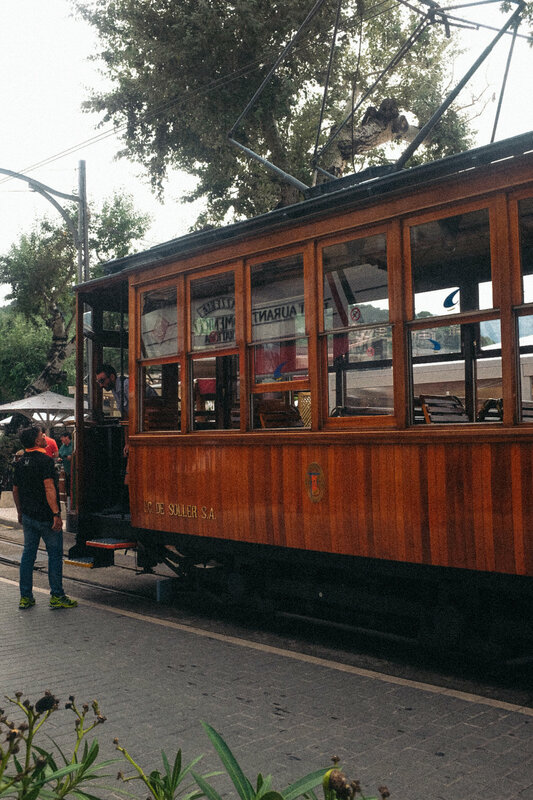 You’re never short of food when residing in Port de Sóller. The waterfront alone is lined with a ridiculous amount of restaurants open late into the night. Majority of which will of course serve up fish and seafood (a pescatarians dream). My two stand out places to eat in the area we’re Neni Mallorca and Randemar. 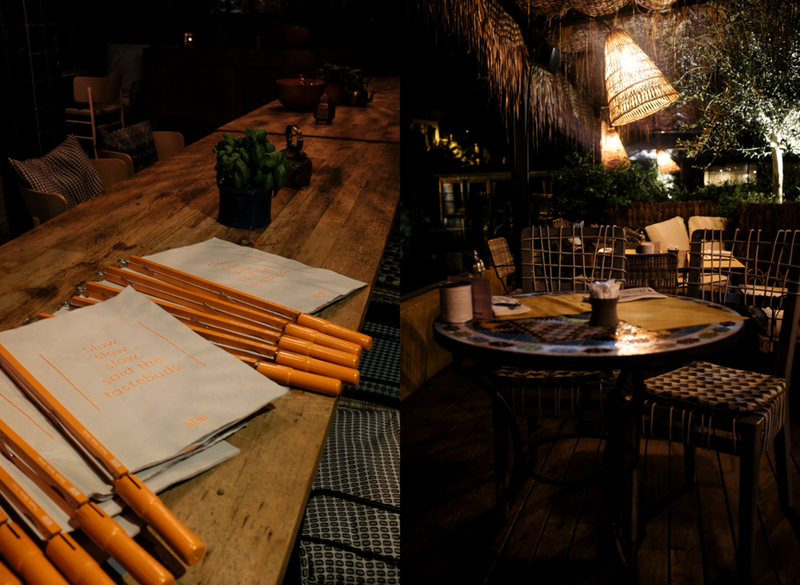 Neni Mallorca is a popular restaurant owned by the Molcho family, serving up a mesmerising and eclectic mix of both Israeli and local cuisine, that most certainly satisfied my hunger. I’d highly recommend trying their meat stuffed ‘cigars’ and chicken sharwarma, and it’s best to arrive on a very empty stomach! Randemar is your stop for great quality food too. Situated close to the waterfront in an old, converted Mallorquin stone villa, boasts a very cool and contemporary vibe. Make this a place to visit when you’re craving a good old pizza or plate of pasta and enjoy a session of people watching and the wide views of the bay. If you’re also looking for some ice cream on a hot sweltering day, Io Gelats Artesans Port has to be your number one go to. I eventually lost count of how many times I appeared at their small counter.